Burlington Planning Commissioner Lee Buffinton resigned from her position Thursday, hours after she recused herself from a hearing on a controversial zoning change that would allow 14-story buildings to be built in a section of downtown. The six-year commissioner told Seven Days that her job at Champlain Housing Trust made a conflict of interest inevitable. At Wednesday’s commission meeting, Sarah Muyskens, the chair of CHT’s board, read a statement in favor of the zoning change, meant to enable redevelopment of Burlington Town Center. Her recusal came after Commissioner Emily Lee read a letter, cowritten by Buffinton, that questioned the legality of Wednesday’s public hearing at City Hall and urged a slowdown in examining the proposed mixed-used residential, retail and office complex. 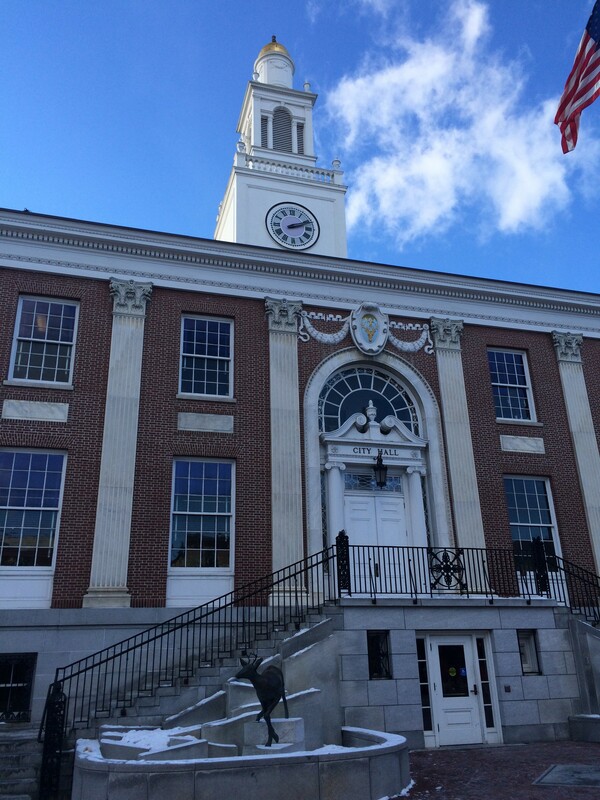 “When Lee first joined the planning commission, folks told her this could be an issue from time to time,” Chris Donnelly, CHT’s director of community relations, told Seven Days. When she heard the statement from CHT in support of the development, “she realized that was a trigger,” Donnelly added. Only four of seven commissioners ultimately voted on the proposal, and each of them supported sending the proposed zoning ordinance to the city council. The $200 million project, headed by mall owner Don Sinex, includes plans for 160-foot-tall buildings on land bounded by Cherry and Bank streets. It would also reconnect portions of Pine and St. Paul streets, which were segmented when the mall was built in the 1970s. Buffinton said CHT’s role in this and other upcoming projects, such as the one proposed on land once owned by Burlington College, meant she would frequently have to recuse herself from meetings and discussion. “The planning commission deserves a full slate of seven engaged members to deliberate on these important issues,” she told Seven Days. Buffinton also cited “personal reasons” for resigning — but did not elaborate.